Red Lory Personality, Food & Care – Pet Birds by Lafeber Co. The red lory’s playful personality and beautiful appearance make this high-energy parrot a favorite among bird fanciers and the more advanced pet bird owners alike. The red lory is the most commonly kept lory in captivity. This bird’s playful personality and its beautiful appearance make the red lory a favorite among fanciers and the more advanced novice alike. The red lory makes an excellent pet for the person who is willing to take time to deal with the very special needs exclusive to this family. Lories need much more attention and care than most companion birds, and need a dutiful owner that is attentive to all of their daily requirements. The red lory is primarily a deep, pomegranate-red, with blue markings on its wings and face. They range in size from 10 to 12 inches and have an orange beak. The most remarkable feature about a lory is its tongue, which looks like a little brush, and is used to remove the pollen and nectar from flowers, the lory’s favorite natural food. Originally from Indonesia, red lories are still commonly found there, and are often pets of people in their indigenous range. Lories are probably the messiest of the common companion birds, and the red lory is no exception. Because they have a mainly liquid diet they have mainly liquid poop, which they love to shoot great distances. They also need quite a large cage and a lot of freedom from the cage, which means that you will be spending a lot of time heading off mischief and cleaning your carpet. This bird is for the more advanced bird keeper, and would do well in a one-bird household. Red lories, like other lories, have a very specific fruit and nectar based diet. They will crack some seed, but should not have too much-seed is not natural to their wild diet, which consists mainly of flowers, nectar, pollen, and insects. You can feed them mealworms, which are usually available at your local pet shop. Because of this specific diet, mainly commercial lory nectar and fruit, both of which spoil quickly, it is easy for a lory with an inattentive owner to fall ill from malnutrition or worse. Red lories can live for more than 30 years if cared-for properly. Red lories are highly intelligent and active birds, always in trouble the second you turn your back. They love toys, and you must have an endless supply on hand. Rotating toys is a must for these active birds, but the up-side is that they are a bit less destructive to their toys than most hookbills are. Red lories make great pets, but can be nippy at times-they are temperamental birds, always looking for the next adventure. Lories are “chatty” birds, always actively making noise and thrashing their toys about the cage. You will definitely know that you have a lory in the house! Red Lories have been known to be great talkers, but they’re more likely to emit high-pitched squawks and shrill cries. But their entertaining antics make up for their less-than-pretty voices. Because their diet of nectar and fruit is highly perishable, bacterial infection associated with food spoilage is a concern with lories. A lory’s liquid food must be changed and replenished often, especially in warm weather, when the rich food rapidly becomes infected with bacteria. Fruit will spoil too if it’s left for even a few hours in the cage. This can cause infections of the crop and even general toxicity. A rainbow lory can live 20 to 30 years, but it is the lucky and unusual lory that makes it that long. There is a common myth that lories don’t need water. This is untrue and should be dispelled immediately. Lories are susceptible to hemochromatosis, or iron storage disease, a metabolic disorder that causes a large amount of iron to accumulate in the lory’s body tissue, which can be fatal. Hemochromatosis in lories might be due to heredity disease and/or diet related. Check with your avian veterinarian for guidance when it comes to the best diet for your lory. 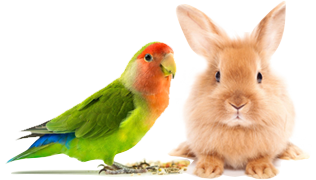 Lories are available from pet stores, avian-specialty stores, as well as from bird breeders. They can also be adopted from avian-rescue organizations.